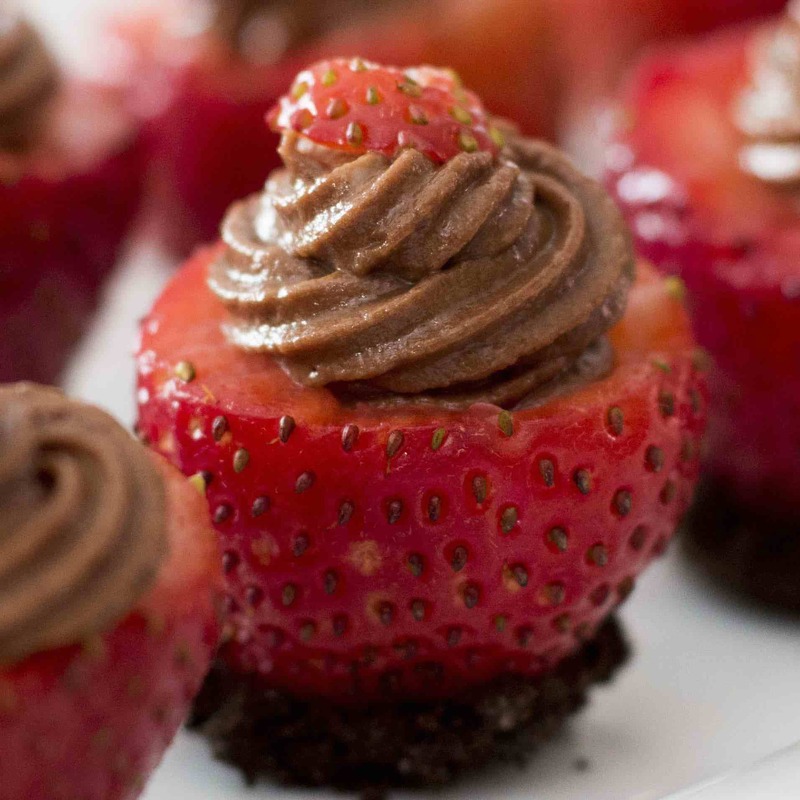 Chocolate Cheesecake Filled Strawberries- mouthwatering and creamy chocolate cheesecake stuffed in fresh strawberries. A no-bake dessert takes only 15 minutes to make! It’s the perfect make-ahead dessert for a party or holiday with friends and family. These Cheesecake Filled Strawberries or Cheesecake Stuffed Strawberries feature the combination of fresh strawberries and sweet and smooth cream cheese. They are perfect for picnics, parties and afterschool snacks! 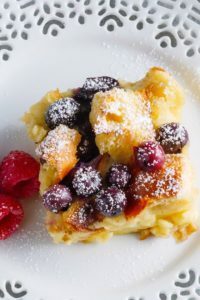 It’s one of my favorite dessert recipes along with No Bake Cheesecake Bites, Chocolate Pudding and Fruit Salsa. The secret of making the best Cheesecake Filled Strawberries is that you need to buy fresh and ripe but firm strawberries. Medium size is perfect so that it’s big enough to stuff cream cheese in and small enough to be bite size. Chocolate Cheesecake Filled Strawberries- mouthwatering and creamy chocolate cheesecake stuffed in fresh strawberries. 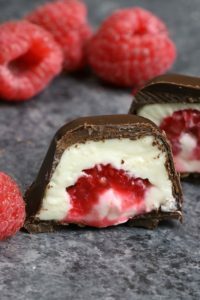 A no-bake dessert takes only 15 minutes to make! 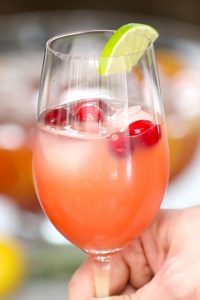 It’s perfect to make ahead of time for a party or holiday with friends and family. Rinse and pat dry strawberries. Cut ¼ inch off the strawberries from the stem side and hollow out with a sharp knife. In a small-medium bowl, melt chocolate chips in a microwave in 20 second intervals. In a zip-loc bag, crushed Oreos using a roller. 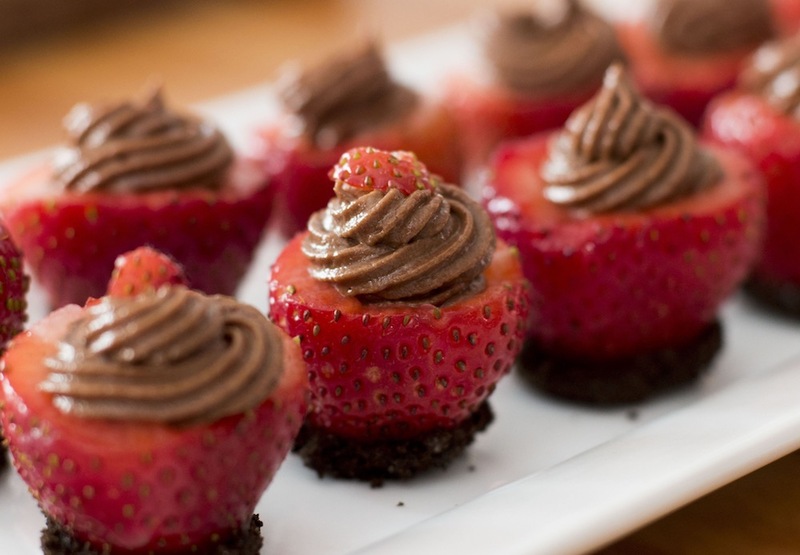 Dip the tip of each strawberry into melted chocolate and then cookie crumbs. Place onto a wax paper-lined baking sheet. 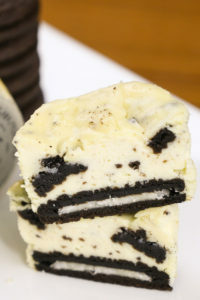 In a medium bowl, mix together cream cheese, softened butter, vanilla, cocoa powder and sugar. Mix in remaining chocolate until incorporated and then whipped cream. Using a pastry bag with a small fitting, pipe filling into each strawberry. Serve immediately or refrigerate. Enjoy! 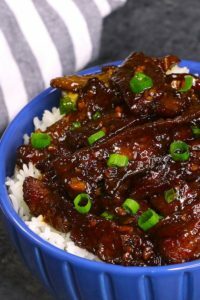 Gracias por la receta y por todas las demás recetas, bendiciones y ánimo. 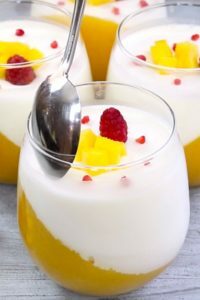 Gracias, por compartir de estos postres sencillos.